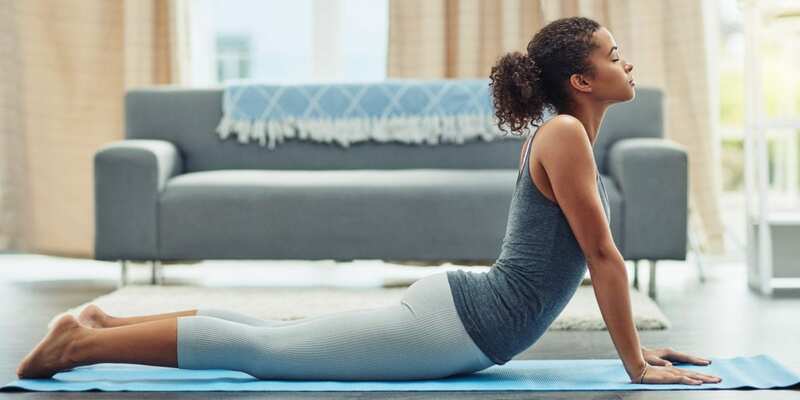 Whether your busy schedule makes it hard to get to a yoga class, or you simply prefer a solo practice, there are definitely perks to doing yoga at home. But there’s a drawback to practicing at home: There’s no instructor to check your alignment and make hands-on adjustments. So how can you check your form when you’re doing a yoga workout like Yoga52 at home? Here are a few simple tips. Don’t worry, you can check your form without installing a mirrored wall in your living room. In fact, checking your form in the mirror can actually take the focus away from your practice, Rihal says. And craning your neck to see your reflection can potentially lead to injury in plow pose, or can make you fall out of crow pose or a headstand. 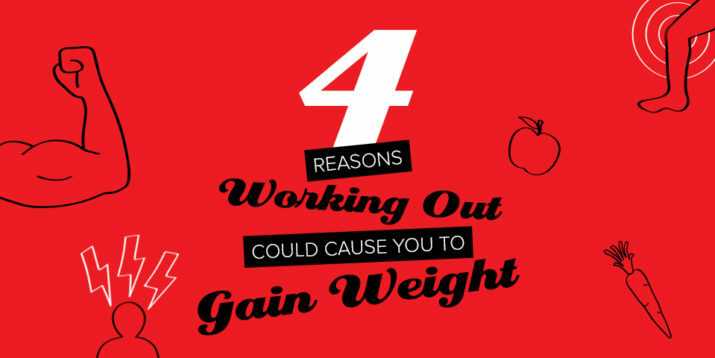 It’s hard to focus on proper form when you’re distracted. Before you start your practice, put your phone on airplane mode or mute the ringtone so you won’t be tempted to peek every time you get a notification. And if you’re streaming an online yoga workout, that should be the only tab open on your phone or laptop. “That way you’ll be in a much better space to examine and deal with your self, which is what practice is all about,” Laffoon says. 3. Move through your poses with purpose. If you’re just going through the motions, you’re likely to make form mistakes — so don’t shortchange yourself by cutting poses short or not giving it your all. Rihal encourages moving with intention: Reach energetically with your arms and legs, be aware of the space you need, and feel your feet rooting into the ground. And don’t rush from one pose to the next — people often injure themselves during transition, Karuna says. Pay just as much attention to your form when you move between asanas as you do when you’re holding an asana. 4. Master the basics of proper alignment. When you move into an asana, make sure the proper muscles are engaged, Rihal says — are your quads burning in chair pose? Is your core engaged during a plank? In poses that require both feet on the floor, make sure you’re putting equal weight on both feet, and that weight is distributed evenly throughout all parts of both feet. When folding forward, find width across your chest and length in your back. Keep a straight, long spine rather than rounding into the fold. When back bending, make sure to lengthen your lower back down, rather than arching or tilting it back. Find an arch behind your heart and not in your lower back. “Let your breath be the barometer,” Karuna recommends. “If you are not deep enough in a pose, you may lose the breath and get lost in thought. If you are too deep in a pose, the breath may be short, jagged, and strained.” You should be able to take steady, rhythmic, deep breaths. 6. Assess your joint alignment. In poses such as plank and cat-cow, be sure to stack your wrists directly under your shoulders. Stack your front knee over your ankle in asanas such as warrior 2 and crescent lunge. 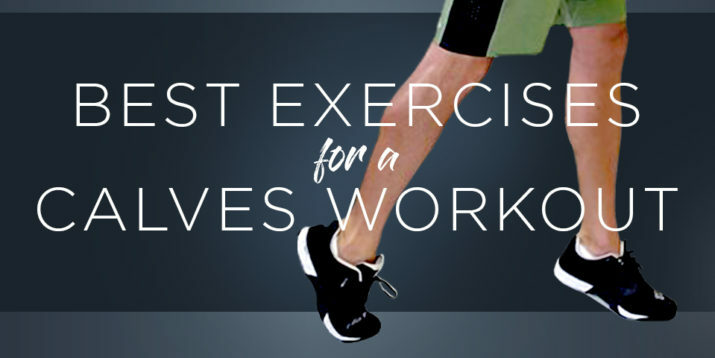 And for twists, stack your shoulders over your hips. 7. Don’t force a pose. Yoga props like blocks and rolled-up blankets can be help while you’re still mastering a pose, so you’re not forcing your body into an uncomfortable or poorly-aligned position. “Props help you create space in your body so you aren’t forcing yourself to take a shape that might otherwise be compressing,” Rihal says. And if you feel a sharp or jarring pain at any point during your practice, ease off that move. “Recognize the difference between sensation and pain,” Rihal says — a light stretch is fine, but you shouldn’t be in actual pain. After all, you want your yoga practice to be sustainable for the long term — so give yourself as much time as you need to work up to more challenging asanas.